Pandiraj directorial Idhu Namma Aalu starring Simbu and Nayanthara in the leads will soon be ready to hit the marquee. We had recently reported that Adah Sharma, who has done films in Hindi, Telugu and Kannada, has been brought on board for a dance number in the film. Now we hear that there is a small flashback portion also for her in the film. Currently the crew is shooting the song Maaman Waiting at the MGR Film City, Chennai, under the choreography of Satish. Sources state that the crew is planning to complete the song portion by tomorrow (18th March) and after which, a small scheudle for the flashback portion is reported to have been sketched. 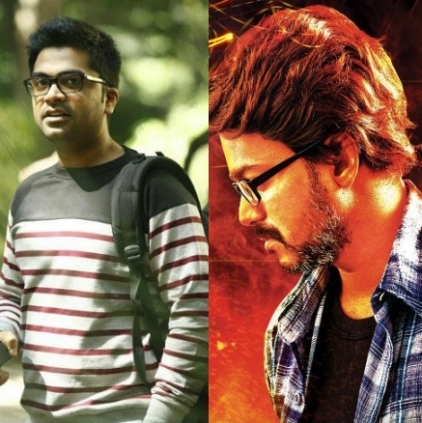 The team is working in full throttle to complete the film and it is stated that they dont want to clash with Theri and want to release Idhu Namma Aalu before the Vijay starrer. Hot - Hip Hop Adhi - The all rounder? Fahad Faasil is the next Siddharth Abimanyu? Simbu’s Legacy Continues With The Youtube Videos Of Achcham Yenbadhu Madamaiyada And Idhu Namma Aalu. Idhu Namma Aalu Track-list Is Here! Vijay's Theri To Have 104 Shows In SPI Cinemas On Its First Day Of Release. Theri Bonus Track Heyaasman To Be Released Very Soon! People looking for online information on Adha Sharma, Idhu Namma Aalu, Simbu, Theri will find this news story useful.